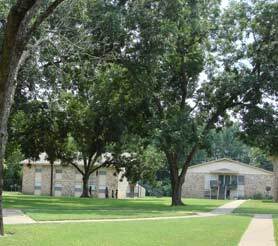 NZALP owns New Zion Apartments, a 100-unit garden style apartment property located adjacent to Clear Horizon Apartments at 4335 Illinois Ave. in Shreveport. The acquisition and renovation of the property was financed in 1997 through a Section 108 loan administered by the City of Shreveport and the sale of tax credits to an affiliate of Related Capital. 100% of the apartments are reserved under the tax credit program and the 15-year compliance period ends in 2012. 100% of the apartments are covered by a project based Section 8 rental assistance contract which expires in 2010. This proprety was sold in 2012.